We care about you and your family. You deserve the best home inspection services for your current home and your dream home, right here in southeast Wisconsin. Bob Beisbier, owner of BK Home Inspections, is a Certified Master Home Inspector who has been providing professional and thorough home inspections in southeast Wisconsin for over 13 years. Bob is Infrared certified, DILHR Certified, and provides Home Energy Tune-ups, Environmental Data Reports, Pre-sale Home Inspections and Pre-offer Home Inspections. 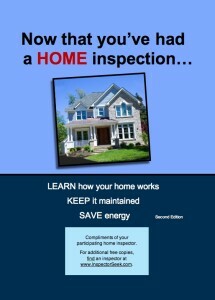 With so many great reasons to work with BK Home Inspections, you always get the best home inspection services. Why would you choose someone else?